Foot pain is pure misery for thousands but often it is needlessly. There are amazingly twenty six bones in the foot, each and every one capable of causing foot pain! In between are even more joints, likewise a rich source of pain. 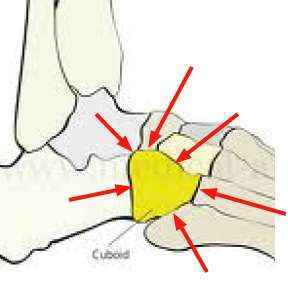 The cuboid bone alone abuts six different bones, all with a joint. The foot is extremely richly endowed with nerves that send information to the brain, telling the latter exactly where the body is poised in space. We call it proprioception; you might think of it as position sense. It is so important that the body dedicates a specific tract in the spinal cord carrying this information to the brain; it also carries messages of fine touch. Receptors in the joints and tissues of the feet send this position sense and light touch to the brain via this dorsal column. When one is kicking a ball, for example, and even walking, it is extremely important that the brain has exact information about the position of each part of the body, in order to precisely coordinate movement. Little wonder that the foot, with so many bones, joints, ligaments, nerves and muscles, all of which are extremely pain sensitive, can cause so much discomfort. Add to that the nasty affliction called gout that is exploding in the western world and one realises how sensitive the feet are; the great toe and adjacent area becomes red, inflamed and swollen. A high protein diet, beer and mushrooms have been implicated. 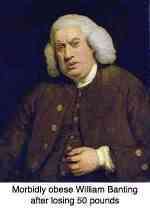 I wonder if adherents to the Atkins and Banting diets have a higher incidence. Look at the joints in the forefoot; they are the source of so called metatarsalgia; remembering that ending in a word means pain. In this instance it's in the ball of the foot. Notice again the cuboid bone. See how many other bones articulate with it? Count them. It's often the spoke in the wheel when it comes to foot pain. But then any of the other bones and joints can cause foot pain. Fractured metatarsals after a fall can be the very devil, causing more than a year of agony. The three cuniforms often become arthritic and a diet rich in omega 3 and a chicken cartilage bouillon may be part of the solution. The talus and it's mortise joint with the leg can be fractured in a bad ankle sprain; the navicular too. The heel bone or calcaneus can get avascular necrosis after a break as the artery runs through the bone and may be cut off. So too the bump on the side of the ankle called the lateral malleolus is often fractured, and to it many of the stabilising ligaments of the ankle are attached; just a sprained ankle can be pure misery; I think the most painful condition I personally have ever had. No fracture, just an ankle sprain in a squash match. It caused me six months of pain; that was in the days before I knew that chiropractic could treat ankles and feet. "Do you appreciate your feet? Have you thanked your metatarsals for their hard work? How about your cuboid?" Foot pain often starts after a inadequately managed ankle sprain. When you turn your ankle, it's not only ligaments that are sprained. Frequently several muscles are strained, either on the side of the leg and even under the foot, and the small bones in the midfoot are subluxated. Often the talus, or the cuboid, and the calcaneus (heel bone) too may become fixated and in fact any of the ankle and foot bones. It all starts with a thorough examination before any ankle sprain treatment. Prevention! Read more about ankle sprain treatment. Ankle joint pain case file ... runner's ankle. Metarsarsalgia, or ball of the foot pain, is a very common and sometimes extremely distressing problem. It can be acute, often recurs, and in many people becomes a chronic source of discomfort. A limp often develops with a negative knock on effect at the knees, hips and spine. It is usually, but not always associated with a dropped transverse arch, in which case the toes often jut upwards, and thick calluses form under the metatarsal heads; due to increased pressure on the second, third and fourth met heads. The solution is not to scrape the callus away. The key usually is to adjust the metatarsal phlangeal joints and often the midfoot too. Stripping of the plantar fascia may help. An orthotic with a bump to force the transverse arch just feels like walking with a pebble in the shoe. Rather read my latest chiropractic book, stones in my clog. The arrow points clearly to the callus formation. Improper fitting and shoes that are too tight may be the cause, especially women’s dress shoes with a high heel, which force more weight onto the forefoot. Pointed shoes squeeze the ball of foot into a restricted space, forcing the met heads against each other, irritating the nerves that run between the bones. This may cause a Morton’s neuroma, a benign painful swelling of the nerve, leading to extreme discomfort in the forefoot and tingling and pain in some of the toes. Associated with the meta tarsalgia we often find a generalised plantar myofascitis with pain running under the foot, down towards the heel. Heel pain can be agonising, especially first thing in the morning. The plantar fascia starts from a bump on the heel bone called the tuberosity, running under the foot forwards to the toes. When there is chronic stress on this fascia, basic physiology tells us that it will produce a spur. This spur can grow very large, looking dramatic on xray, and is prominent and easily bruised. Medicine likes to cut it off. See a chiropractor but first do your homework. Not all chiropractors treat feet, or may just offer expensive orthotics that may be part of the solution. But surgery is rarely necessary. A soft heel cushion, reducing the bony fixations that are causing the fascial tension, and Active Release of the plantar fascia, and usually it will come right in a few weeks. The pain is usually worst first thing in the morning. Chiropractic for Morton's neuroma is perfectly plausible. The interdigital nerves are irritated only because of the poor biomechanics of the foot and ankle. Fix that problem and there's a good chance the pain and tingling in the forefoot will be greatly relieved. Weight loss may be part of the solution. Obese people almost always also have foot pain; change from the diet your mother taught you to the food that granny served. Mrs Naude, a pharmacist, consulted me with a very acute attack of sacroiliac pain in the lower back. Her back had been grumbling for some months since she started limping with pain under her foot, warning her of impending trouble, but despite various therapies her foot continued to hurt - for nearly two years. Finally, her back collapsed, and she spent three weeks in bed, had various scans. Neither pills nor physiotherapy helped, and an over-enthusiastic manipulation aggravated the problem. Her back pain settled within a few weeks, but the foot was another matter. She had a very high arch with a fixation between two small bones in the midfoot. Owing to the chronic nature of the condition it presented with pain in the plantar fascia, pain in her heel, pain in the met heads, and pain in those two little bones. Fortunately she is not over weight. Treatment is directed at the fixations of the cuneiform bones, stretching of the plantar fascia, adjusting the toes and a heel cup for the heel pain; actually both heels, otherwise she would have a leg length difference. And the followed up with the alphabet exercises to rehabilitate the fixations in the foot and ankle. Rome won't be built in a day, nor Aachen and Cologne as they say in Holland, but she will get better in a month or two. There are few conditions that I like to treat more than metatarsalgia. Except in extremely deformed feet, this condition responds brilliantly to chiropractic treatment of the foot, without arch supports, bandages and the like. The stretching and longitudinal frictioning of the muscles between the metatarsals may be very painful, but I can almost give a guarantee; something no wise doctor ever does. Update: Mrs Naude is fine. I treat at least five feet every day. I love 'em. A lot easier to fix than a difficult back. Ever think of sending a card to your doctor, chiropractor, dentist? Tell him/her how much you appreciate their efforts, how much you are improving. When you know he or she has really gone the extra mile, a bottle of wine at Christmas wouldn't go amiss! We in the healing professions can also do with a little encouragement from time to time. I got this letter from an English lady who crossed the North Sea to consult me in Holland for pain in the foot. It turned out to be Metatarsalgia of two years duration. Only three treatments: "I can walk without pain, yes!" Better still, think about sending your Chiropractor (or your doctor for that matter!) an inspirational Chiropractic book. 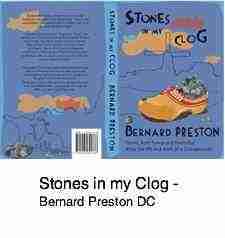 Enjoy a few sample chapters fromStones in my Clog before purchasing the book. As in all conditions the first step in treating metatarsalgia is to determine the cause of the pain. Proper fitting footwear is obviously the start. Mobilising the metatarsals, adjusting the toes, and deep stretching and soft tissue therapy of the muscles between and under the metatarsals is extremely effective. Checking for fixations in other parts of the foot are important. They can be adjusted with the help of a Thulitables drop board. Shoe inners may be very helpful, particularly if pronation of the foot exists. A common chiropractic brand is made by Foot Levelers. Foot Levelers is one of the foremost manufacturers of shoe insert orthotics. Foot pain can rob you of all walking benefits. The foot and ankle obviously functionally go together. Ankle joint injuries are certainly worthy of a page of their own. Whilst I don't have the research to back it up, my opinion is that many foot pain problems begin after an improperly managed sprained ankle in which the subluxated bone(s) were never corrected. 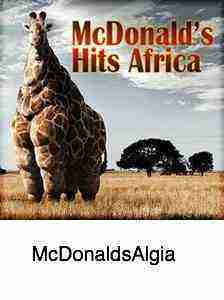 Spare a thought for this giraffe. Think the poor devil's got foot pain? Our free WEIGHT LOSS PROGRAMS really do work. Start by simply eating rather less CARBS. One less potato, only a small helping of pasta and pizza, and more salads and veg. IT DOES WORK. And it WILL spare your feet. But, as one prominent heart surgeon pointed out, the only solution is often to return to the food that your grandmother ate, and not what you learnt from your mother; and that means a complete change of lifestyle. It's no coincidence that our Healthy Living page is one of the most visited pages at Chiropractic Help. Folk are slowly beginning to realise that you either return to healthy choice foods, or endure pain, bucketfuls of pills and an early demise. Finally, exercises for the foot are are important in the treatment of foot pain. However, they are specialised and difficult to teach over the internet. One simple option is the so-called alphabet exercises: sitting on a chair, well back, with the shoes off, move each foot tracing out say about 5 letters of the alphabet. Flex your toes and foot as high as you can (called dorsi-flexion), then drop them down, tracing out an A. Try and move all parts of the foot including the toes. The knee shouldn't move. More exercises for the foot and ankle can be found here. When bones in the foot or ankle are fractured there are invariably other tissues involved. Sprained ligaments, pulled muscles, injured hyaline cartilage and subluxated for fixated joints. 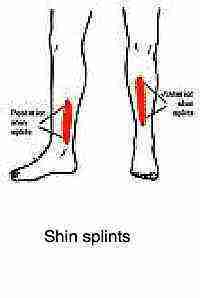 Shin splints is a painful condition of the inner side of the shinbone. 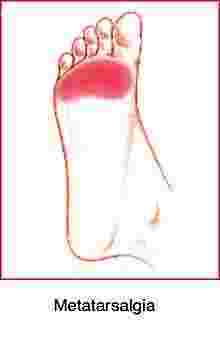 Since some of the muscles involved are inserted into the foot, the pain may radiate into the foot. 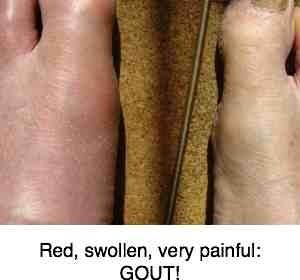 If the great toe is painful, red and swollen then the first consideration is gout; there's a massive explosion of this disabling disease in the Western world causing severe foot pain; red meat, beer, orange juice and sauteed mushrooms recipe are amongst those held in suspicion. Untreated and you'll get gouty tophi. Go from FOOT PAIN to ANKLE JOINT PAIN CASEFILE ... staircase foot. Subluxations in the feet cause immobilisation arthritis.